FRANKFURT (Reuters) -- Opel/Vauxhall, the European unit of U.S. automaker General Motors, said it would halt production for a total of 20 days at its main factory in Ruesselsheim and its engine plant in Kaiserslautern between September and the end of the year, confirming an earlier German media report. The struggling carmaker said it will cut the hours of workers at the two plants in response to a drop in demand for cars in Europe. "The European car market is declining substantially. Until recently, the decreased production schedules could be compensated by applying corridor shifts and accrued overtime," said Holger Kimmes, head of personnel at Opel/Vauxhall, in a statement. "Now, short work is the right bridging measure." Yet shortening staff hours may only grant a short-term reprieve to Opel, but will do nothing to alleviate the carmaker's structural problems of unused factory space, said Frankfurt-based Commerzbank analyst Sascha Gommel. "Closing down plants for a few days isn't going to help Opel with its most pressing problem of overcapacity," Gommel said. In manufacturing, hours will be reduced by short-work shifts or short-work days starting in September, while cuts in the administrative and service functions will begin in October, the automaker said, adding that engineering jobs would not be affected. Ruesselsheim is Opel's biggest production hub and manufactures the Astra compact and Insignia mid-sized models. The carmaker also has German production plants in Bochum and Eisenach. GM lost $747 million on its European operations last year as a weak economy hit car sales in the region, forcing carmakers to confront high fixed costs and excess production capacity that GM has said equates to 10 plants. Opel lost an average 938 euros ($1,200) before interest and tax per vehicle sold in the first half of the year, a survey of the CAR Center of Automotive Research at the University of Duisburg-Essen showed. 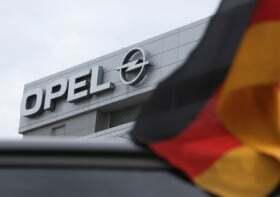 Opel has 13,800 employees in Ruesselsheim, about half of which will be affected by the measure, the company said. The Kaiserslautern factory has a work force of 2,500 people. Opel workers affected by the cuts will receive subsidies under the German government's short-work program, called Kurzarbeit in German. The scheme allows a company to preserve jobs by cutting employees' hours when plant usage is low and having the government compensate workers for part of their lost wages. The government pays workers in the program 60 percent of their net lost wages for up to six months, or 67 percent if they have children. With the German government covering the majority of the affected workers' salaries, GM's European unit is expected to see a cost savings of $52 million for the rest of this year, according to a report from Barclays Research. The consultancy forecasts that despite the move, GM's European operations will have an operating loss of $464 million in third quarter and $442 million in the fourth quarter of 2012.